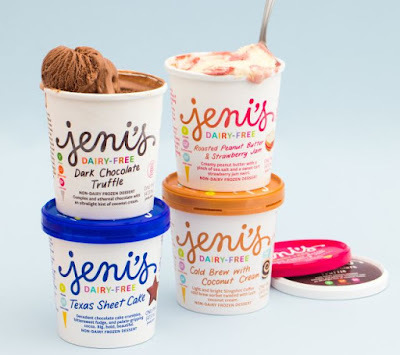 Jeni's Splendid Ice Creams Launches New Dairy-Free "Ice Cream"
Jeni's Splendid Ice Creams joins the dairy-free "ice cream" (technically, it's "frozen dessert") competition with the launch of their first dairy-free product line. You can find Jeni's dairy free at Jeni's Scoop Shops nationwide and at their online store. Photo via Jeni's Splendid Ice Creams.